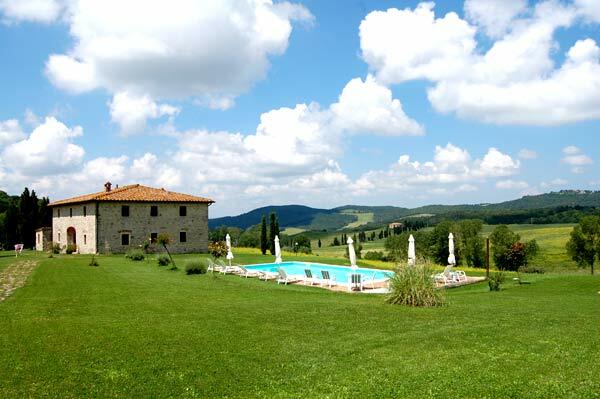 Tuscan villa rental with 10 beds in the months of April, May, June, July, August, September and October. 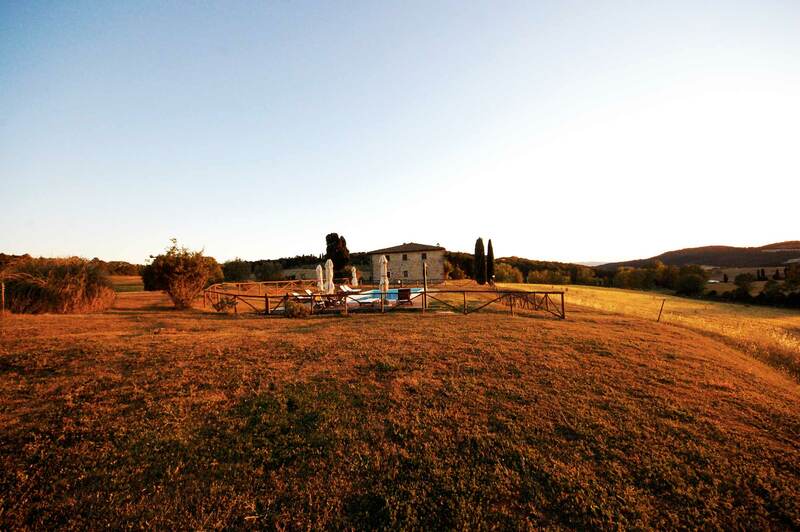 The farmhouse is located between Volterra and San Gimignano in a hilly position with a beautiful panoramic swimming pool from where you can admire the panorama of the Tuscan hills. 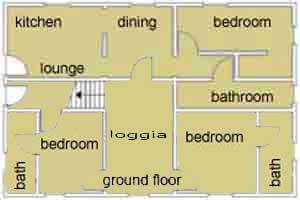 The cottage for rent is located on two floors with 5 bedrooms 5 bathrooms 3 living rooms and 3 kitchens, on the ground floor we find the loggia, 3 bedrooms, the largest kitchen, a sitting room and 3 bathrooms. Climbing the ancient stone stairs you reach the first floor with 2 lounges, 2 kitchens, 2 bedrooms and 2 bathrooms. The Villa has a 5000 square meter garden. For the security of our guests we have put in the anti-theft and surveillance cameras. 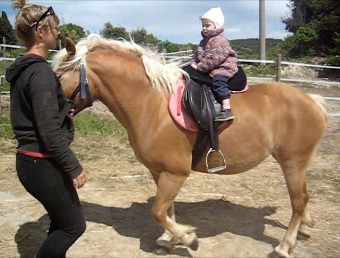 Rent a villa in Tuscany, or an apartment and if you have children let him try the great experience of playing with a pony and sit on a horse …. this is what you can do at the Villa Ginepraie. 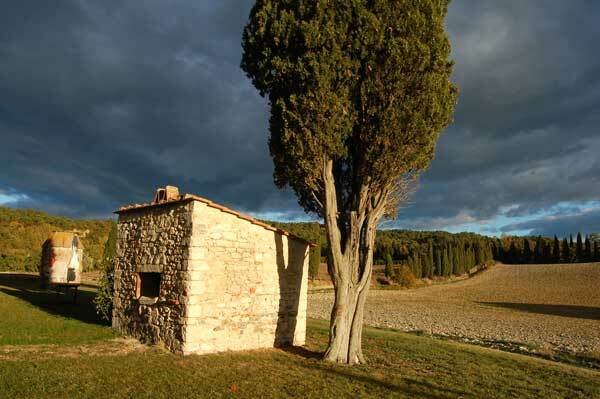 At 500 meters from the Villa le Ginepraie there is Pignano farm village with a beautiful riding school, those guests can go horse riding in the neighborhood, whether beginners to learn with the teacher in the rectangle. 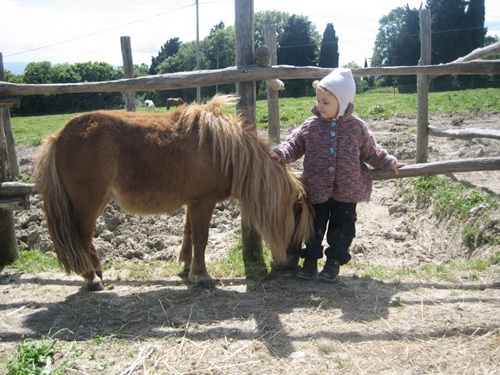 Younger guests will be able to see the small and cute pony and to come closer to the wonderful world of horses. 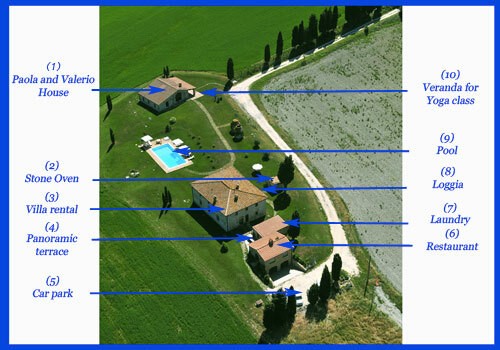 Today we publish a detailed map of the Villa in Tuscany, so you can get an idea of ​​the entire property that you can rent for weeks or even just for a weekend. 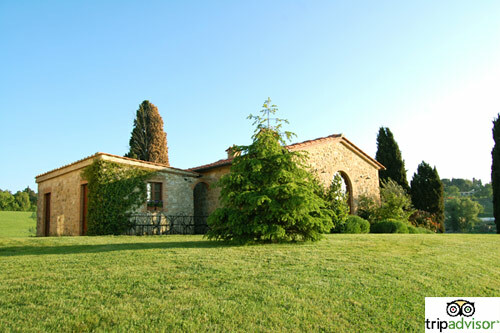 (1) Paola and Valerio are the owners of this farmhouse in Tuscany and live in this barn, during your stay are always at your disposal for any need, however, leaving you all the privacy you need. 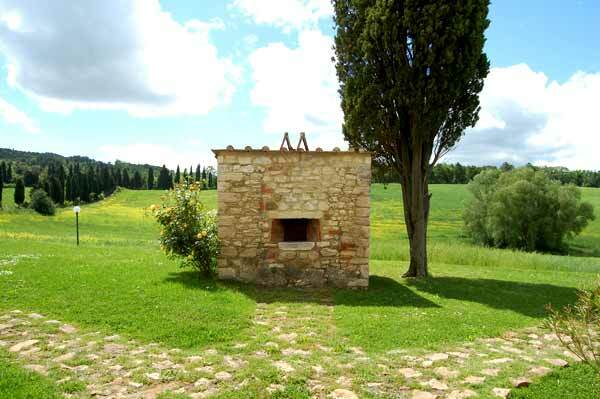 (2) The Stone Oven is typical of all the Tuscan farmhouses, with this old oven restored and working properly, you can prepare the bread or pizzas, NGLI ancient farmhouse inhabitants prepared bread for the whole family once a week. (3) The holiday Villa can accommodate up to 12 people is on 2 levels with 5 bedrooms, 5 bathrooms, 3 living rooms with fireplace and satellite TV and 3 kitchens. This old farmhouse was built in 1600 and was completely renovated in keeping with its ancient features. (4) The panoramic terrace has a table for 12 people in mosaic. It is the perfect place to dine watching the sun set between the hills and has easy access from the kitchen of the villa. 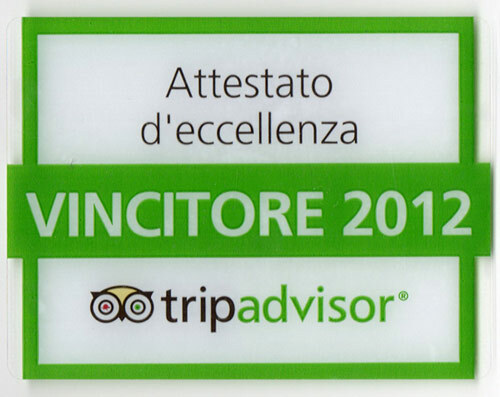 If you dine in the restaurant of the villa you can choose to dine inside or on the terrace. (6) The Villa’s restaurant is only available to guests who rent the entire cottage, Paola will prepare you for breakfasts, lunches, dinners and tastings. On request we organize cooking courses. (9) The pool has a panoramic view of the surrounding hills and equipped with chairs, tables and sun loungers with meterassini teak. The pool has night lighting. Review: We spent a week in paradise with all the family (7 adults and 5 children). We rented the entire villa. you can eat in the morning off with a wonderful view over the Tuscan hills. In the evening, you can eat on the patio. The kitchen of the villa and big enough to cook for the whole family. There is also a washing machine in the event (with the kids …). You do not hear the noise of children from other rooms. 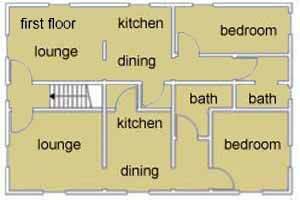 Hospitality and helpfulness of the owners really perfect.